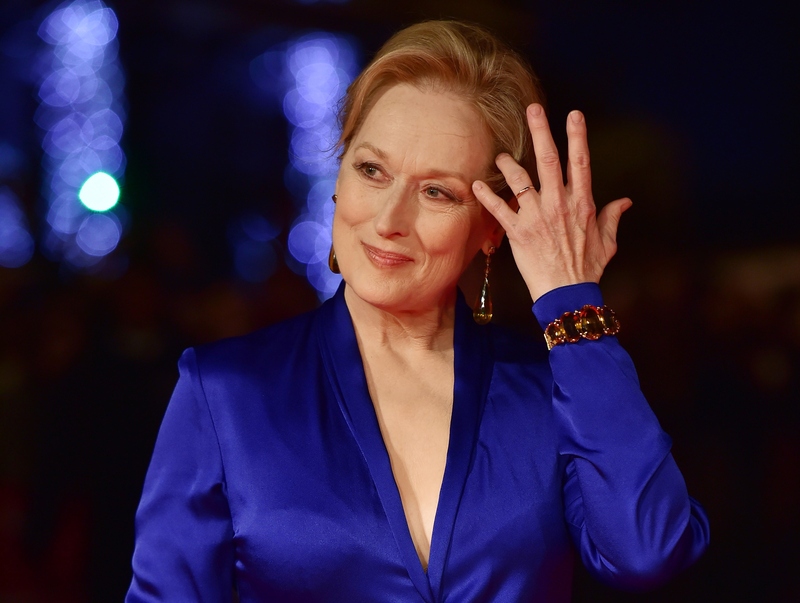 With the new Fall movie Suffragette coming up, Meryl Streep is busy making the press rounds. Her tour has not been free of controversy due to Streep's refusal to call herself a feminist — but her most recent statements on the state of women in film criticism are laudable. Streep is calling for more female film critics after researching one of America's most respected critic collectives, Rotten Tomatoes. According to The Hollywood Reporter, Streep commented on the lack of female voices in American film criticism at a BFI London Film Festival press conference. "I went deep, deep, deep, deep into Rotten Tomatoes, and I counted how many contributors there were — critics and bloggers and writers," Streep said at the conference. "And of those allowed to rate on the Tomatometer, there are 168 women. And I thought, 'that’s absolutely fantastic.' And then, if there were 168 men, it would be balanced. If there were 268 men, it would unfair but I’d get used to it. If there were 368, 468, 568 ... Actually there are 760 men who weight in on the Tomatometer." Digging further, Streep also called out the New York Film Critics Circle, which currently includes 25 men and six women. According to Streep, "The word isn’t 'disheartening,' it’s 'infuriating.' I submit to you that men and women are not the same. They like different things. Sometimes they like the same things, but their tastes diverge. If the Tomatometer is slided so completely to one set of tastes, that drives box office in the U.S., absolutely." Streep makes an excellent point. Rotten Tomatoes has become a leading site for finding a review consensus on new films, and if the majority of critics are men then there is a very good chance moviegoers are not getting well-rounded views on every movie. This isn't entirely Rotten Tomatoes fault since they only gather the reviews (although they do have rather strict criteria for who can be part of the site), but it does point to a wider problem within the film critic community. While I don't think women and men have completely different tastes in films, I do think Streep is correct when she says women and men can, on occasion, like different things. Smaller, women-centric movies are usually the first to be lost in the shuffle when there are superhero, action, and male-led prestige dramas to be discussed. The bottom line is there is not a single field out there where a diversity in voices has not made things better. Just as there need to be more women making films, there should be more people listening to women talking about films. Perhaps, more so than in any other artistic medium, reviews are highly respected by moviegoers choosing what movies they want to see. A movie can live and die by its reviews, even when the reviewers get it wrong. Could more women being a part of the conversation surrounding movies change that? There is really only one way to find out and that is by giving female critics the opportunity to not only speak, but to be heard. For her part, Streep is passionate for fighting for female equality, especially in Hollywood (even though she prefers to identify herself as a humanist rather than a feminist). Streep funded a screenwriting lab for women over 40, and she is always advocating for more female-led films. She also does her part by taking on challenging and provocative roles in movies that draw in female audiences. Suffragette is just the latest example of her support for telling stories about women for women. It is heartening to see Streep once more speaking out for women, especially since the women she is speaking out for are writers who evaluate the very work she and the rest of Hollywood does. Streep's words prove her passion for equality and bring attention to yet another space where women and men are not yet on equal footing.